I know Christmas is over, but I always tend to go a little crazy for the holiday collections and there's just not enough time around Christmas to show all the beautiful polishes I add to my collection, so you'll see a few of them popping up during the rest of the year. 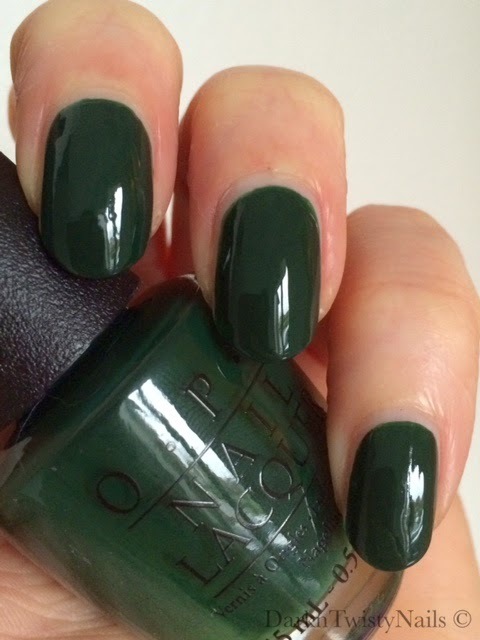 And let's be honest, this gorgeous polish is not only perfect for the holidays, but all year round! 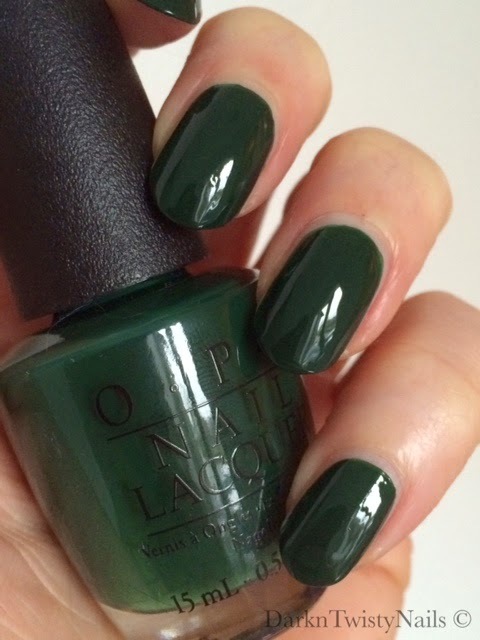 OPI Christmas gone plaid is a gorgeous deep, vampy green cream and was released as part of the Gwen Stefani Holiday 2014 collection. The formula is absolutely perfect! It glides on the nail like butter, is opaque in 2 smooth and thin coats and it dries fast and really shiny. The only bad thing about this polish is that it stained my nails pretty bad, but let's be honest, I love the color so much, I really didn't care! 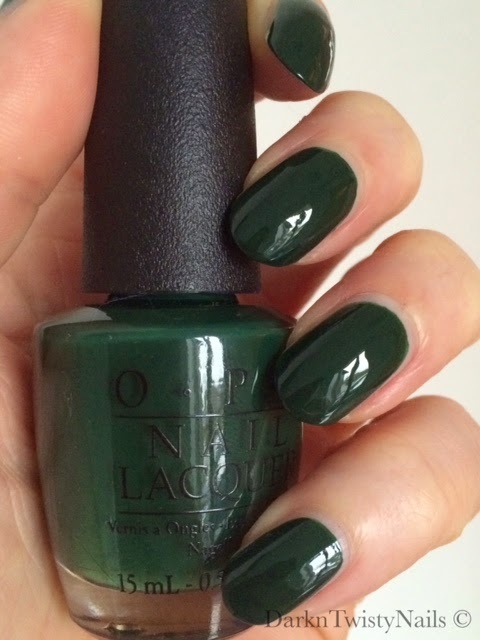 It's such a gorgeous, deep green shade, that you'd expect it to look black, but somehow it never does. You can always tell it's green, even in very dim lighting. 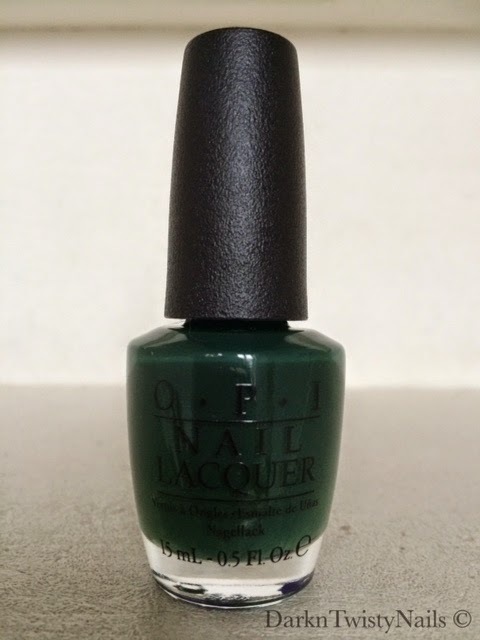 I love these types of shades, Lincoln Park after dark is one of my all time favorite OPI's and this gorgeous green is right up there. This polish was released as part of a Limited Edition holiday collection, but you should still be able to find it everywhere and let's just hope they'll make this part of the permanent collection, because it's a classic, stunning shade. What's your favorite dark polish? Oh die vind ik leuk!! Green lover here! I like!